Dealing with a car insurance company is hard and time-consuming but if you prepare well you may end up getting compensated. It is important to understand that you may lose compensation even if you are insured by an insurance company or the accident was not your fault. However, what you do immediately after being involved in a car accident determines the final outcomes. In case you are involved in an accident, you are not supposed to leave the scene regardless of how minor the accident was. You are supposed to stop and protect the scene by setting up flares or keeping flashers on. This is important for the safety of other motorists as well as your safety. The vehicles involved in the accident should remain at the scene while you inform the authorities unless they are interfering with traffic. 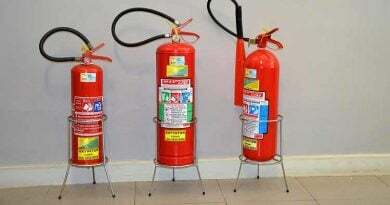 If there are any sparks or smoke, use a fire extinguisher to prevent further damage or casualties. His/her insurance company name as well as policy information. Get statements and contact information from eyewitnesses from the scene. While gathering information, you should also check whether your car insurance company. has a mobile app. Most car insurance companies have mobile apps that can help you/guide you on how to gather information. After gathering important details, you should notify relevant people to help you get a claim. First, you should contact the other driver’s insurer informing them that you have been involved in an accident with one of their policyholders. Then, you should notify relevant authorities i.e. the police to determine who is at fault between the two of you for ticketing purposes. It is important to understand that the insurance company will determine its case differently and its verdict may not match those of law enforcement. However, most insurance companies take into account the driver’s report, police report, physical evidence and statements from witnesses to make their final decision. It is advisable to find out if your insurance company have medical benefits as a part of their coverage. This will help you get e medical cover even if you will have to pay the bills yourself at first. However, even if the insurance company does not offer medical cover, you should visit the nearest hospital, explain what has happened and get a medical check-up. 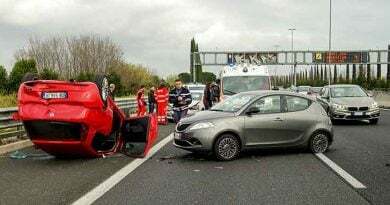 In case you will have to pay any medical bills associated with the accident, the doctor should provide you with a written bill for later use in case you will get a compensation. Although you may not need to hire a lawyer, sometimes it is important to hire a lawyer. This depends on your financial ability, the severity of the accident, your insurance company and maybe the other driver’s insurance company. An attorney will not only offer you legal advice but also on how to get better medical attention if you are injured. Most personal injury lawyers work on a contingency basis where you pay them after you have been compensated. This means that you agree on a percentage and if he/she helps you get the compensation, that’s when you pay the fee. Working with an attorney will help you make the right decisions and avoid making a lot of mistakes that may make you lose compensation. Notifying your insurer and the other driver’s insurer helps you have a cushion between the two. It is wiser than fighting the other driver’s insurer alone. The two insurance companies may fight to find a solution while your attorney represents you to ensure you get the best deal. This is far much better than trying to solve everything on your own. Although you are insured, you are required to know that insurance companies do not like paying off policyholders or when they have to pay, they give low compensations. With an attorney, you stand a better chance because he/she is knowledgeable, experienced and skilled in legal matters. Most insurance companies tend to drag the case longer so that you may give up or compromise and lose the case. If you are a victim of motorcycle accidents and you were not wearing your bike helmet, well the whole situation will be different. Make sure to abide by the law while driving! ← Who benefits most from workplace safety regulations? 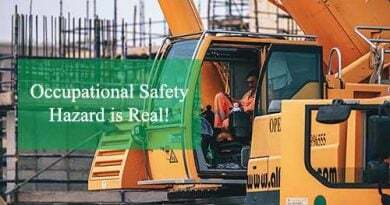 What is occupational safety and health administration?